THQ Nordic is upgrading the remasters of the original Darksiders games, Darksiders: Warmastered Edition, and Darksiders 2: Deathinitive Edition with support for Xbox One X. The first of these, a 4K patch, is available now for Darksiders: Warmastered Edition. 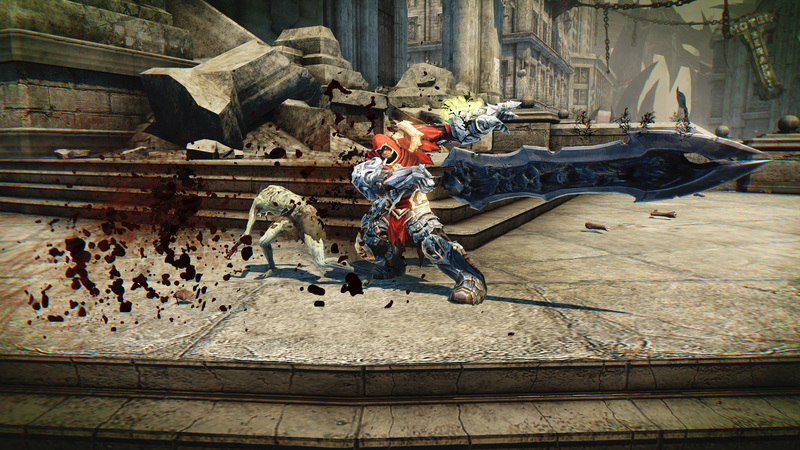 Developer Gunfire Games is working on the same update for Darksiders 2: Deathinitive Edition, which will be released prior to Darksiders 3’s launch. Owners of either of these games get these updates for free. If you do not yet own the remasters, pre-ordering Darksiders 3: Blades & Whip Edition will grant you immediate access to both games. The update has been available for PS4 Pro for a while, though it does appear Xbox One X’s 4K will be native as opposed to chekerboard. PC players also should have 4K support already. There’s still plenty of time left to check out the original games before Darksiders 3’s release later this month. THQ Nordic recently announced The Crucible, and Keepers of the Void, two post-launch add-ons. Darksiders 3 is out November 27 on PC, PS4, and Xbox One.